Back at the office, Caitlin is shocked by Samuel’s guest. Who is it? 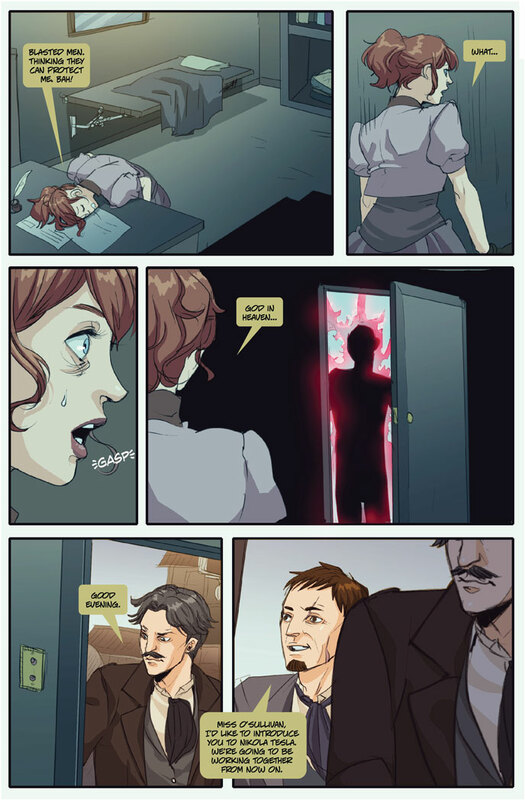 New page is up! Note: There will be no new page next week as I will be out-of-town. A little update on Kickstarter stuff…I am currently working on the new novelette and it’s a Caitlin story!!! 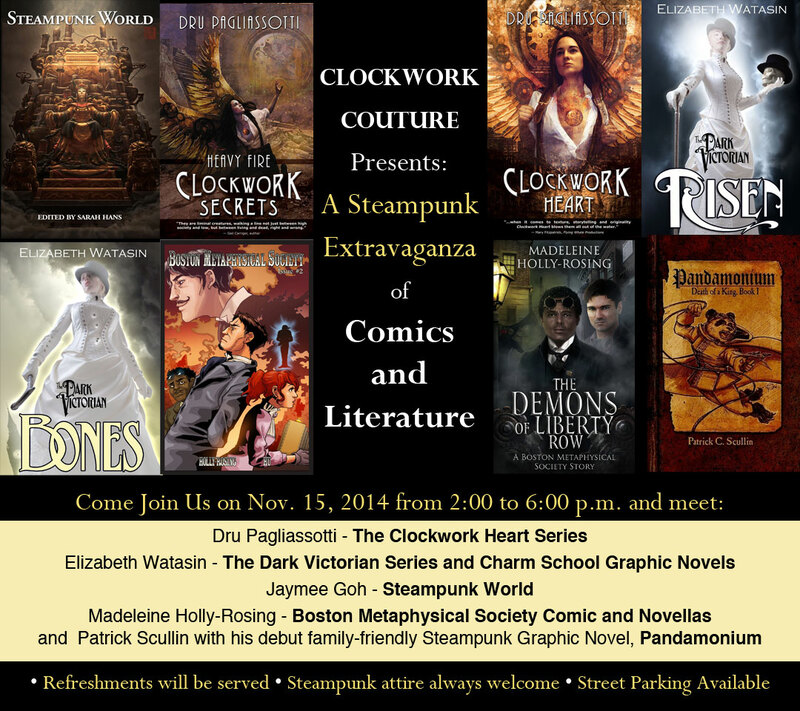 Three lucky backers are characters in the story: Jeanette Collins, Regina Gill and Matthew Q. Kage. (These are necessarily their names, but the names they have chosen for the story.) I’m really enjoying writing it as it gives a deeper look into Caitlin’s background before she met Samuel Hunter. I was also privileged to be interviewed by SHORT BOXED. I met them at APE in October. What a great group of guys! You can read the interview here: SHORT BOXED INTERVIEW. 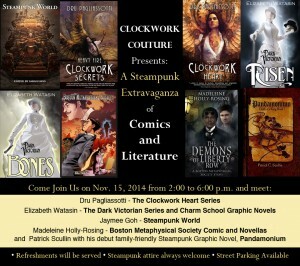 Last but not least, I will be at a signing at Clockwork Couture on Nov. 15th ( 2:00 p.m. to 6:00 p.m. at 707 S. Main St., Burbank, CA) I will be joined by the fabulous Elizabeth Watasin Writer and Illustrator, (The Dark Victorian Series) Dru Pagliassotti, (The Clockwork Heart Series) Patrick Scullin Illustration (Pandamonium) and Jaymee Goh (Steampunk World). There will also be a Craft Faire and food!!! So stop by and pick up your holiday gifts or just hang out!